There are still two spaces available for this Sunday’s Eco Dyeing with Caitlin Ffrench. 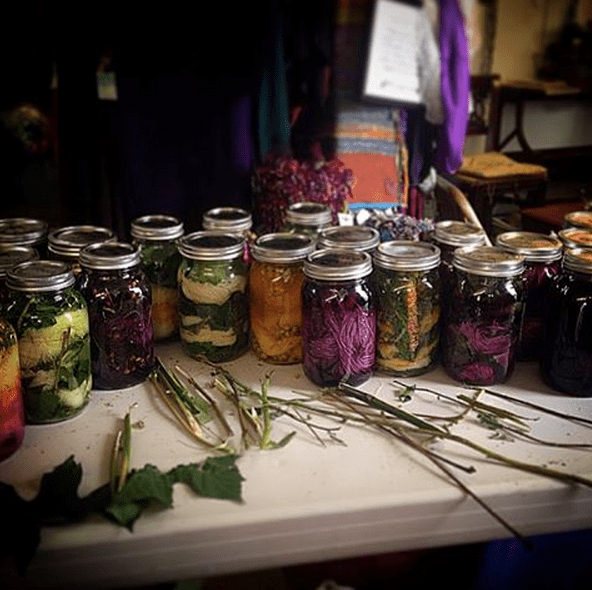 Also known as Solar Dyeing, this uses natural and locally foraged material to colour wool yarn in a glass jar using the warmth and light of the sun! Runs 10:30 to noon; call or come by the store in person to register. So many natural ingredients to make your yarn pretty! 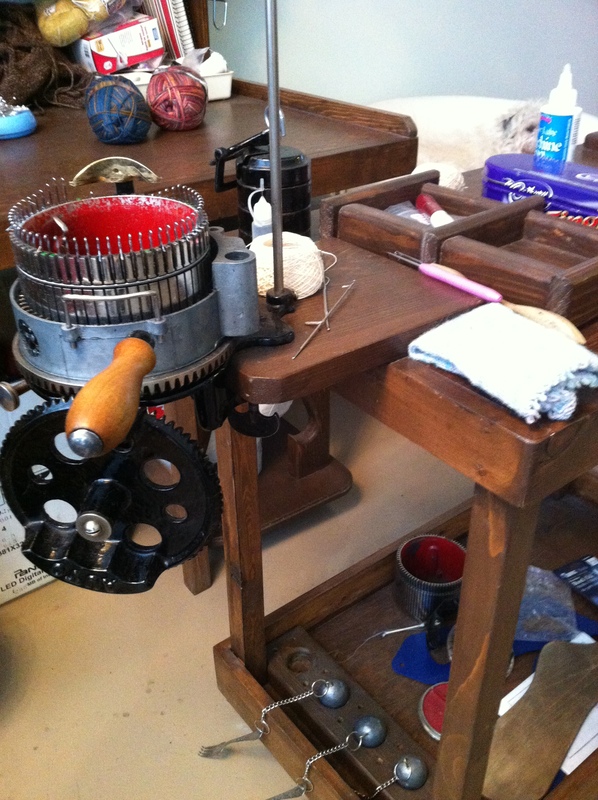 On Saturday, Zoe Brown of Brothel Yarns will being bringing in and demonstrating her antique circular sock machine. Come join us for to see this unique machine in action and get some hands on time as well, but you must register as there is a limit of 8 participants. 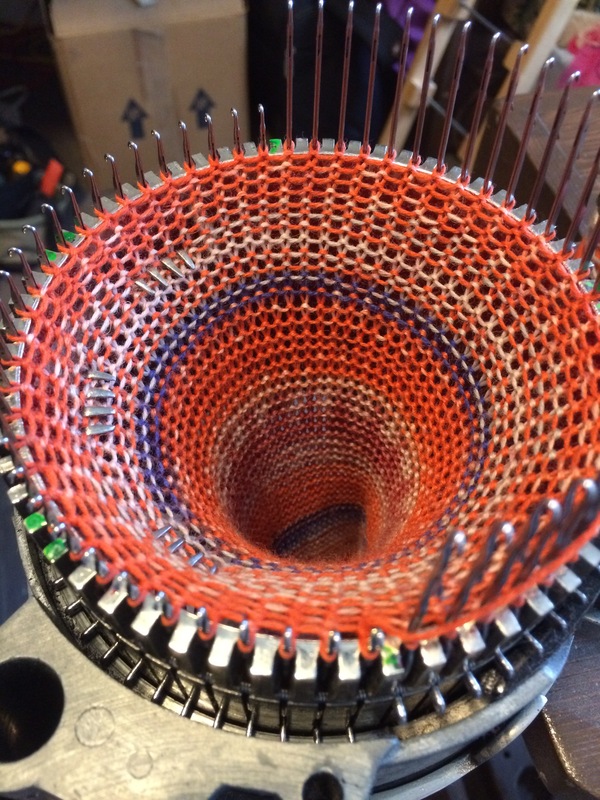 A sock in the making. 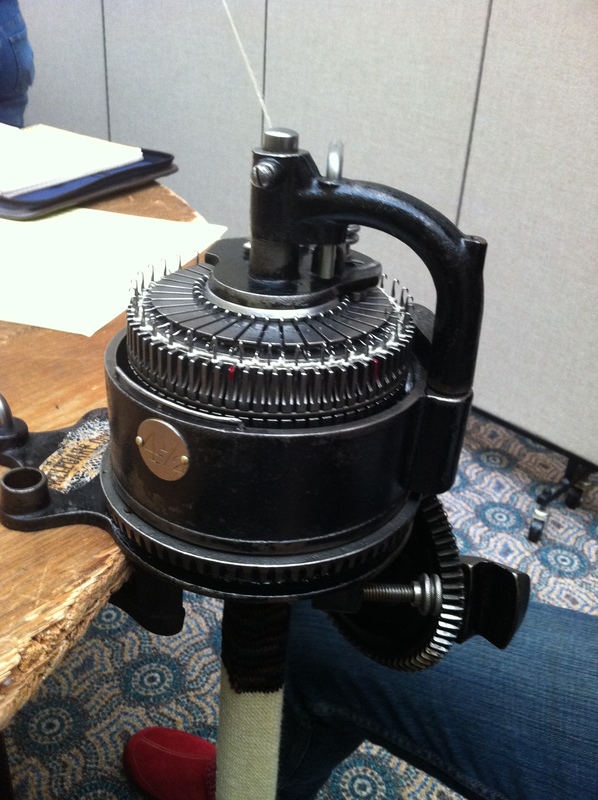 Looks like a medieval torture device. ← Winner! Winner! Chicken Dinner!